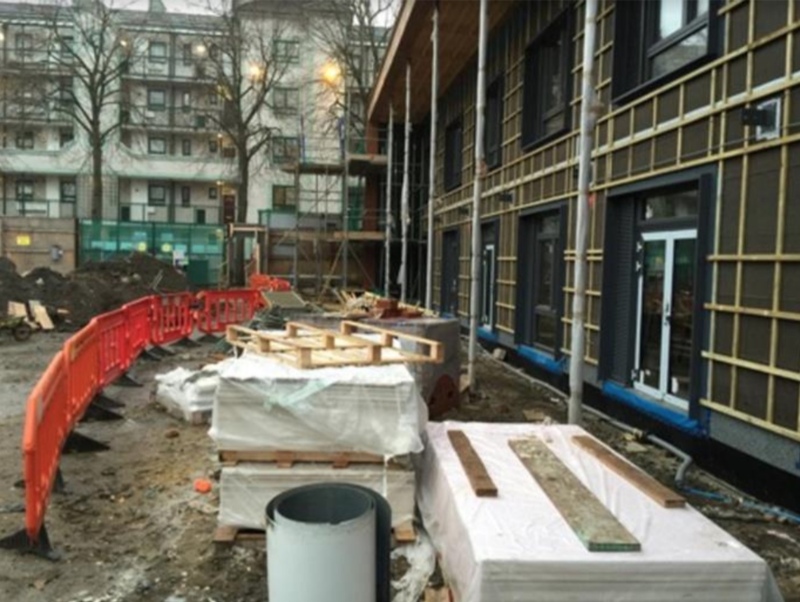 Construction of the first ‘Passivhaus’ school in London which aims for an overall 65% reduction in carbon emissions per annum. 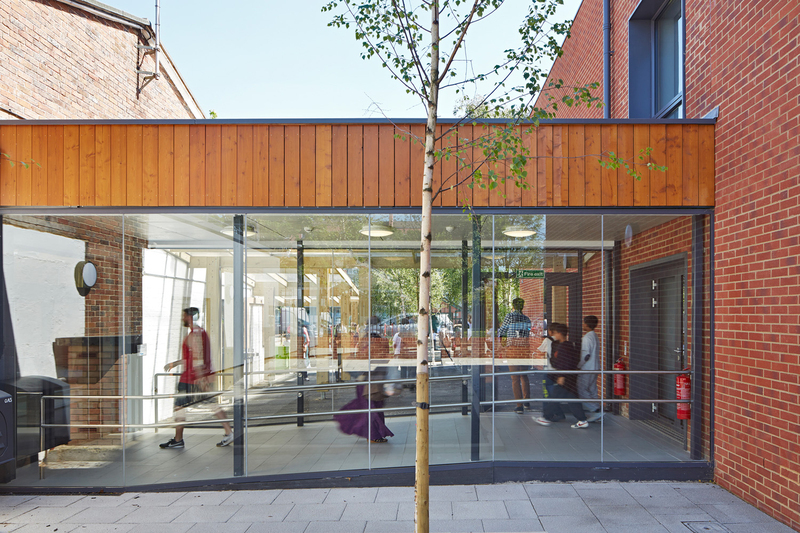 A glazed corridor connects the existing hall to the new timber clad extension. 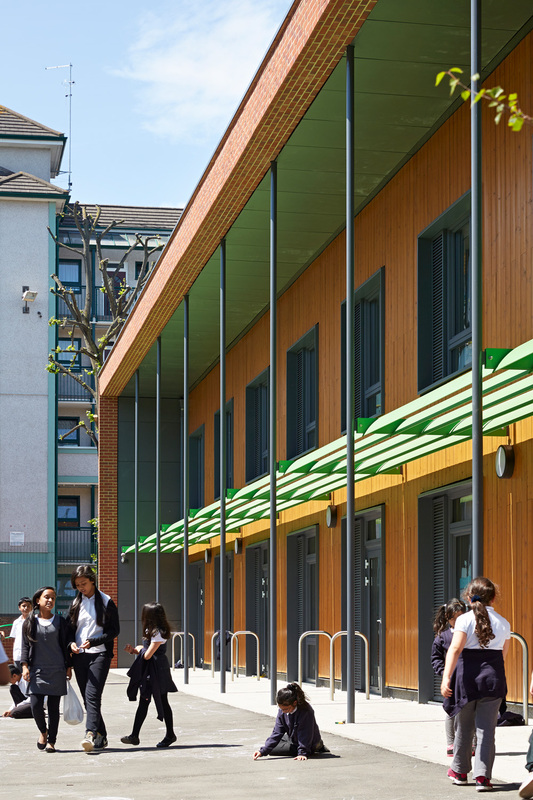 A large overhang is created by a brick frame which provides solar shading together with a brise soleil, to the south facing façade. * construction of a 1,250m2 new two-storey classroom block aiming for Passivhaus Standard. 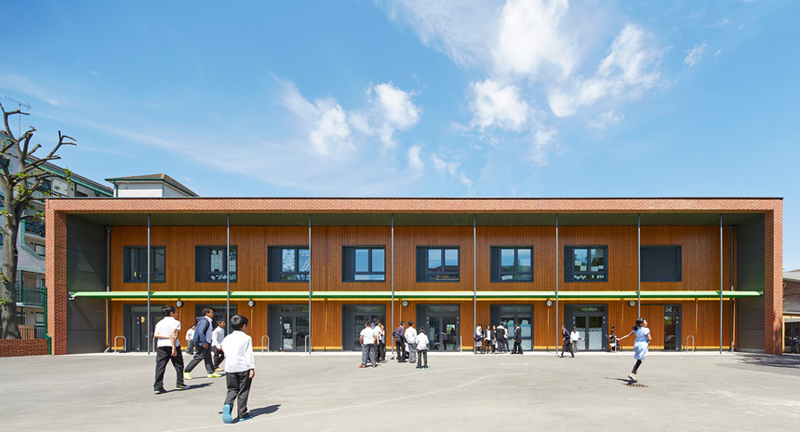 * 950m2 extensive remodelling completed outside of term time 2014. * a multi-use games area (MUGA) that will be open out-of-hours. The 2 stage design and build contract started February 2014 with completion in Spring 2015.